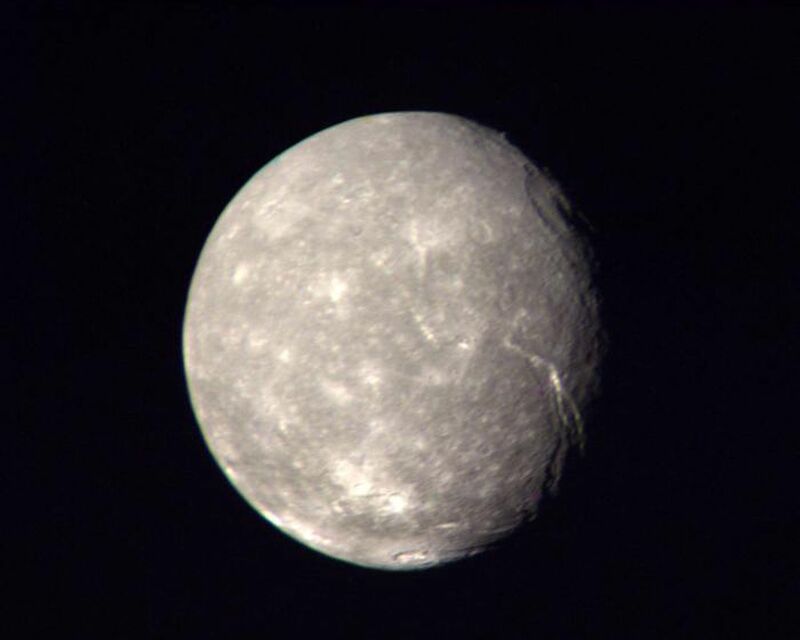 This high-resolution color composite of Titania was made from Voyager 2 images taken Jan. 24, 1986, as the spacecraft neared its closest approach to Uranus. 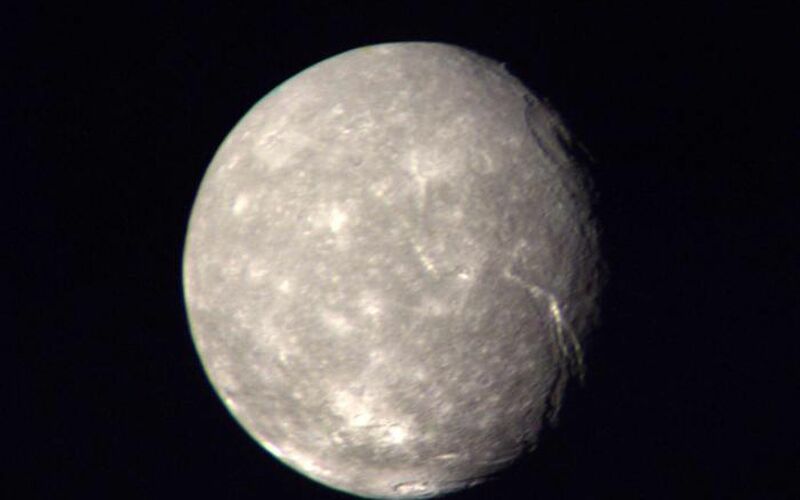 Voyager's narrow-angle camera acquired this image of Titania, one of the large moons of Uranus, through the violet and clear filters. 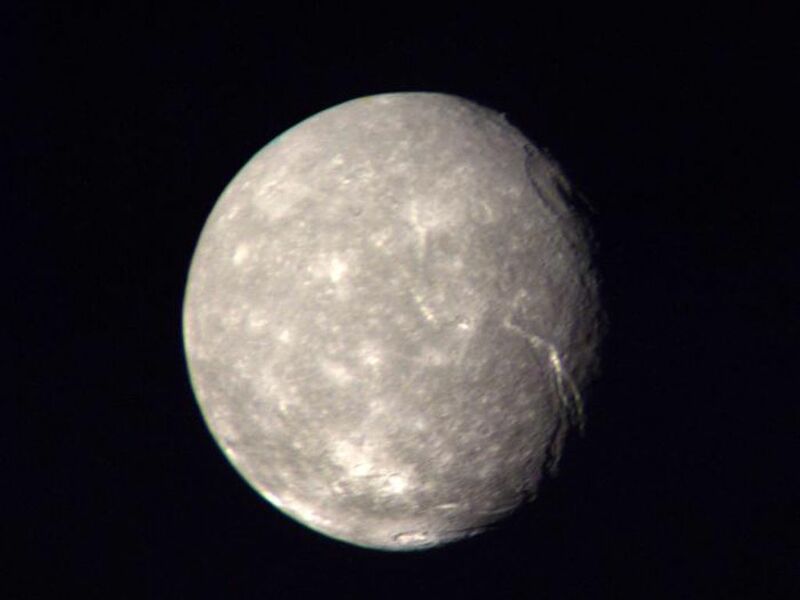 The spacecraft was about 500,000 kilometers (300,000 miles) away; the picture shows details about 9 km (6 mi) in size. 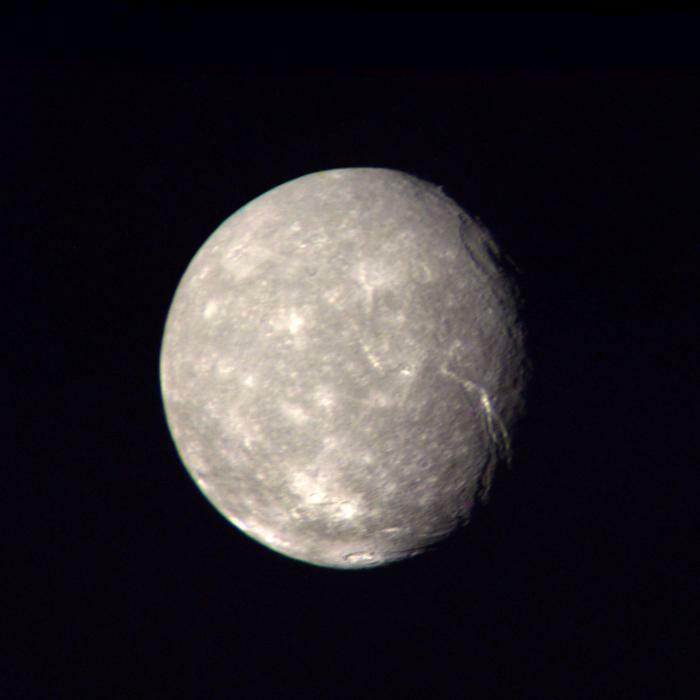 Titania has a diameter of about 1,600 km (1,000 mi). In addition to many scars due to impacts, Titania displays evidence of other geologic activity at some point in its history. The large, trenchlike feature near the terminator (day-night boundary) at middle right suggests at least one episode of tectonic activity. Another, basinlike structure near the upper right is evidence of an ancient period of heavy impact activity. The neutral gray color of Titania is characteristic of the Uranian satellites as a whole. The Voyager project is managed for NASA by the Jet Propulsion Laboratory.